We sampled lots of different fruits during our trip. 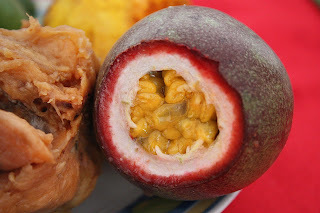 This is a gulupa, which tastes a bit like a passionfruit. I loved the dual-toned pink and white rings of the inner skin - you just eat the yellow seeds inside.